I am still having problems with the Epson WF 2540 after the first tech I chatted with told me to put in a new black ink cartridge. I still have the "Document jammed inside' error message. 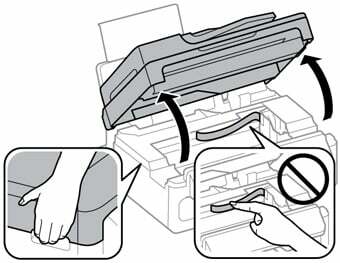 Gently pull out any jammed paper from the output tray and sheet feeder. Caution: Do not touch the flat white cable inside the printer. Caution: Do not lift up the scanner unit when the document cover is open. Remove any jammed paper or torn pieces. We have already done that, there is no paper jam. The tech I chatted with a couple of hours ago said to change out the black ink cartidge, that if the ink is low it will cause the "jammed document" error message. after changing the cartridge the error is sill there correct? Yes, still getting the same error message. Do I turn the power off on the printer?? unplug the power from the wall outlet which is connected to the printer. okay, we are unplugging the printer from the wall outlet right now. after 2 minutes are we supposed to plug it back in? Power the printer on? no issues please take all your time. 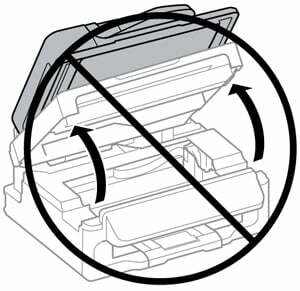 please be sure the cartridge which you have installed doesnt have any packaing material still on. seems to be working okay now. Thank you! What do I do now? I have an Epson WF-2540. A a Toshiba Windows laptop via USB.